A life-saving British doctor who has had to dodge bombs and stare down the barrel of a gun – and is known as the ‘Indiana Jones of surgery’ – has been named winner of the Robert Burns Humanitarian Award 2016. 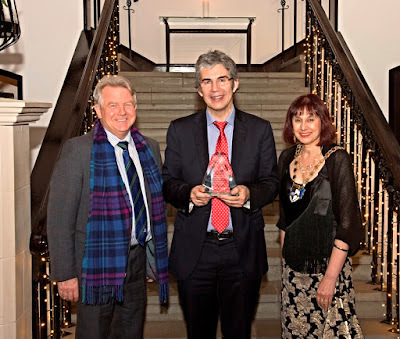 David Nott was presented with the award at a special ceremony and the first-ever celebration concert at the Brig O’Doon Hotel in Alloway – the town of Burns’ birth – by Minister for Europe and International Development, Humza Yousaf MSP. The Robert Burns Humanitarian Award – or RBHA – is a globally-respected, humanitarian accolade supported by South Ayrshire Council and Scotland's Winter Festivals, with sponsorship from Burns Crystal and The Herald, Sunday Herald and heraldscotland.com. The event is part of the Alloway 1759 celebrations, which take place in and around Burns’ birthday this month and form part of the year-round Burns an’ a’ that! Festival. Named in honour of the famous Scots Bard, the award applauds the efforts of people who bring hope and inspiration – often in desperate situations – and help change lives for the better. It takes its inspiration from Robert Burns who viewed everyone as equal and genuinely lived as a true humanitarian, as recognised in his famous lines: 'That Man to Man, the world o'er, Shall brothers be for a' that'. This year’s winner, David – a Consultant Surgeon at Royal Marsden, St Mary’s and Chelsea and Westminster Hospitals – has given up several months every year for more than two decades to volunteer with Médecins Sans Frontières and the International Committee of the Red Cross in war zones and amidst major humanitarian crises. His efforts have seen him performing life-saving surgery in areas such as Afghanistan, Bosnia, Chad, Democratic Republic of the Congo, Haiti, Iraq, Libya, Pakistan and Syria – and in some of the most desperate conditions. David’s first posting took him to the state hospital in Bosnia, which was known as ‘the Swiss cheese’ because it was pockmarked with bullet holes, and that was to shape his experience for many years to come. David has now taken his skills and experience and established the David Nott Foundation – a UK registered charity that provides surgeons and medical professionals with the skills they need to provide relief and assistance in conflict and natural disaster zones around the world. As well as providing the best medical care, David Nott Foundation surgeons will train local healthcare professionals; leaving a legacy of education and improved health outcomes. 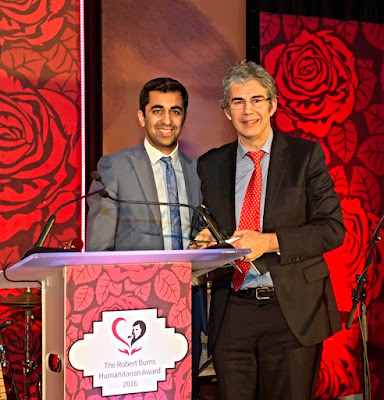 Humza Yousaf MSP, Minister for Europe and International Development, said: “The Robert Burns Humanitarian Award recognises the selfless vital work that is undertaken around the world every day of every year to help others. 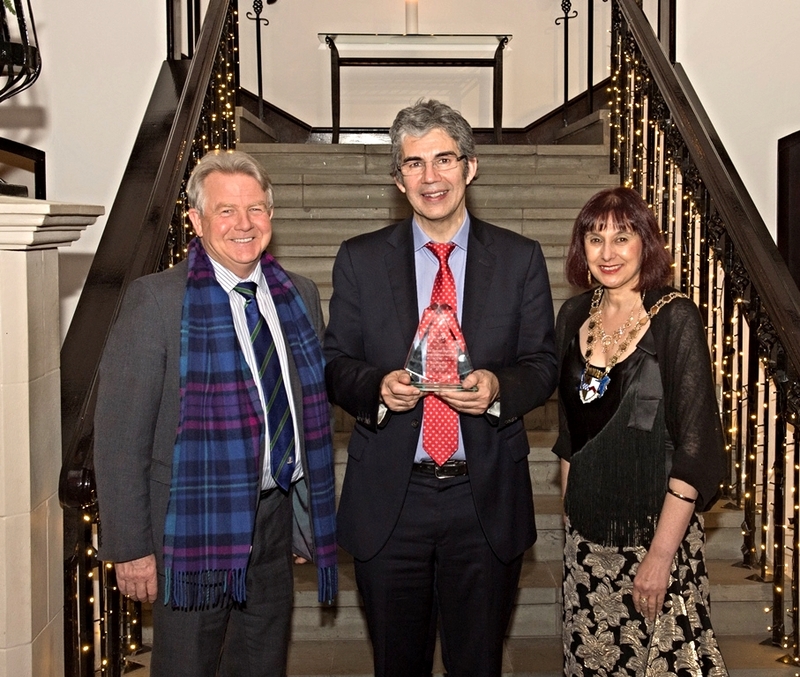 David Nott is a truly worthy winner and an inspiration to others. As a volunteer with Médecins Sans Frontières and the International Committee of the Red Cross, he has performed life-saving surgery in desperate circumstances in areas such as Darfur/Afghanistan, Bosnia, Iraq, Chad and Syria. He is developing a training programme to share his expertise with more than 1,000 doctors and local health professionals. David Nott said: “I am stunned and very proud to receive this amazing award, which I share with the many people I have worked with over the years. You know that you’re taking a risk when you do this type of humanitarian work, but once you’re out there and saving the lives of people – including children and teenagers the world has forgotten about – you just focus on getting the job done and try to forget about what’s going on around you. “It is difficult – there’s no doubt – but when you can see that you can make a very real difference, you simply cannot turn your back and that’s why I’m particularly pleased to have established the Foundation to keep that work going. Magnus MacFarlane-Barrow – whose humanitarian efforts started more than 20 years ago with an appeal for food, clothing and medicines for those affected by the Balkan conflict. He went on to establish Scottish International Relief, which delivered more than £10 million worth of aid in its first 10 years. In Malawi in 2002, Magnus was inspired to launch Mary’s Meals after meeting teenager Edward who said all he hoped for in life was: ‘I want to have enough food to eat and go to school one day’. Mary’s Meals now feeds more than one million school children in 12 countries every day. Zannah Bukar Mustapha – a lawyer who works to make lives better for children and young people affected by the conflict between Boko Haram – an Islamic extremist group – and government forces in Nigeria. Having spent many years working to counter the growing radicalisation of children and young people, and concerned at the closure of state schools, he founded the Future Prowess Islamic Foundation – a primary school for orphans and less privileged children from both sides of the conflict. Zannah’s school provides free meals, free education, uniforms and health care, with the aim of achieving a lasting peace in the future. Councillor Bill McIntosh, Leader of South Ayrshire Council and Chair of the Robert Burns Humanitarian Award Judging Panel, said: “David, Zannah and Magnus all recognise that not everyone has the same choices, freedoms and opportunities – and they have stepped in to right that wrong and are actively making a difference for many. “David’s work has, quite literally, saved lives and there are hundreds of people alive today who would not be here if it wasn’t for his bravery, tenacity and commitment to others. He has put himself in danger and put his own life at risk to protect other people and he is a perfect example of Robert Burns’ humanitarian values. VisitScotland Regional Director Annique Armstrong said: “A key date in Scotland’s cultural calendar, The Robert Burns Humanitarian Award is a marvellous recognition of an individual’s incredible personal dedication to, and amazing achievements in, making a major beneficial impact on the lives of others – so it ties in very closely with the themes underpinning this 2016 Year of Innovation, Architecture and Design. Further information about the Robert Burns Humanitarian Award is available at www.robertburnsaward.com. Details of the year-round Burns an’a’that! Festival are at www.burnsfestival.com.